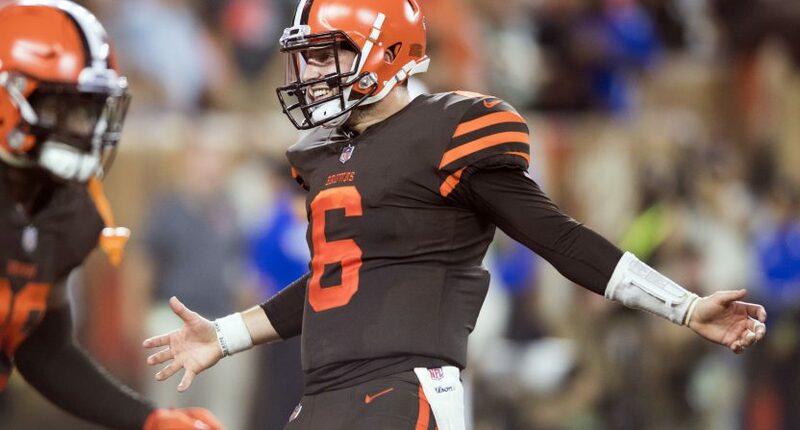 Baker Mayfield on Colin Cowherd: "Just because you say you have a source doesn’t mean you’re not full of BS." Come to Cleveland and ask O if he actually likes it. Just because you say you have a source doesn’t mean you’re not full of BS. That’s quite the response from Mayfield, but he’s proven quite willing to shoot back at media both in person (as in his previous appearance on Cowherd’s show) and on Twitter. And Mayfield said before the draft last year he was “keeping a list” of media members who crossed a line; it looks like Cowherd’s still on that list. Honestly, this feels like a pretty smart move for Mayfield to say what he thinks here. Sometimes it’s not worth it for athletes to fight back against media criticisms, but Cowherd’s comments here went beyond on-field criticisms to specific insults to a number of key members of the Browns (and interestingly enough, not as much to Mayfield as to others). By shooting back, Mayfield is standing up for his teammates and organization. And he’s doing so against someone who already isn’t popular in Cleveland; Cowherd famously unloaded on the city and the state back in 2011, not only defending LeBron James’ departure for Miami but saying that everyone else should leave town too. Now that would be a worthwhile pay-per-view.